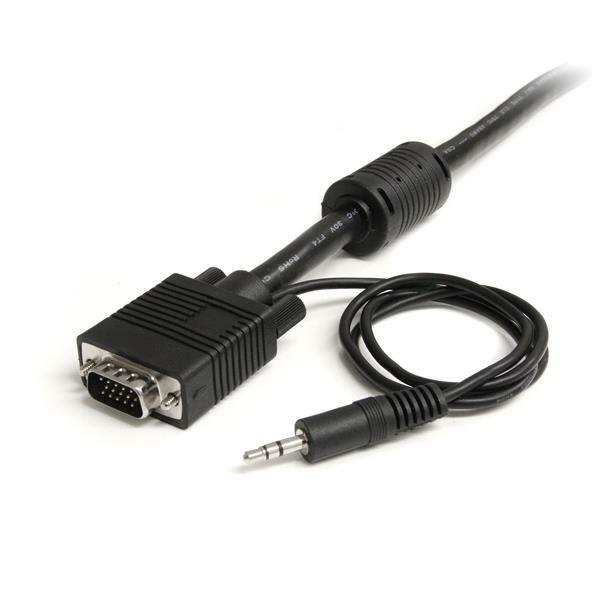 The MXTHQMM30A 30-foot High Resolution VGA Monitor Cable with Audio is a high quality SVGA cable designed to provide the highest video quality possible through VGA - a single cable solution, for connecting both video between a VGA video card and monitor, and audio connections between a sound card and external audio device. 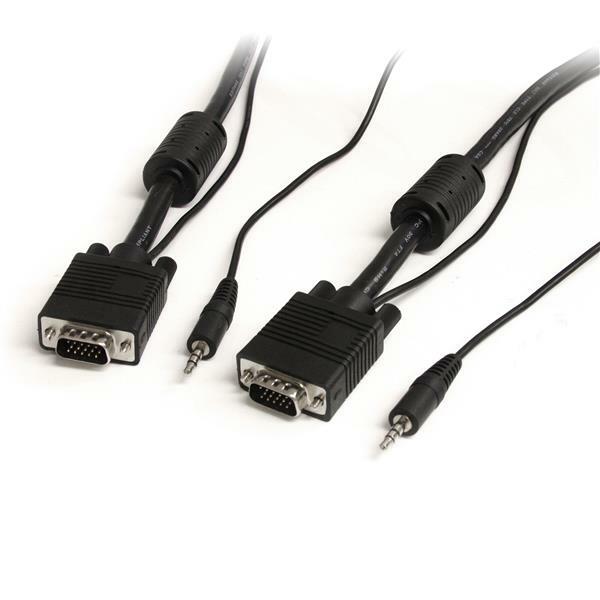 StarTech.com’s high resolution VGA cable with audio features high quality male-to-male coaxial VGA cable, and is designed to eliminate picture ""ghosting"" and fuzzy images that are inherent to non-coaxial cables, while providing superior EMI interference protection by using ferrite cores near the connector ends. The 30-foot SVGA cable (VGA Cable with Audio) is backed by StarTech.com’s Lifetime Warranty.